European markets traded slightly higher in premarket trade Tuesday, as investors kept a close eye on trade tension and earnings. 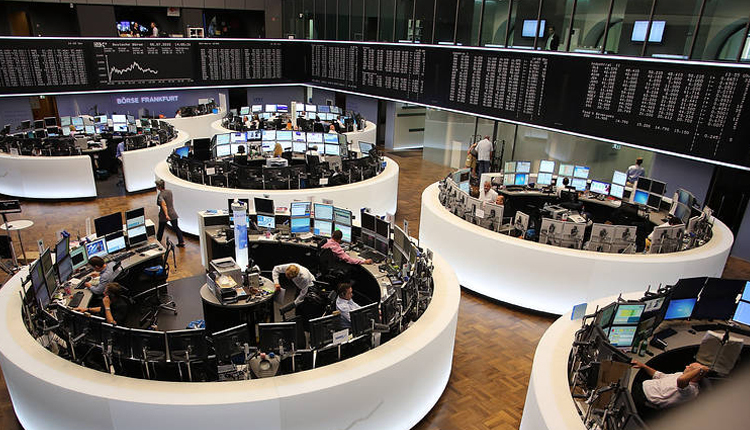 Britain’s FTSE 100 was up almost 10 points at 7,668, while the German DAX rose nearly 29 points to 12,613, France’s CAC 40 inched up 13 points to 5,483 and the Italian FTSE MIB moved barely above the flatline at 21,559, according to IG data. Over in Asia, stocks navigated through choppy trade amid trade jitters, following a day of gains from Wall Street. China Daily, the official newspaper controlled by Beijing, said on Tuesday that President Donald Trump’s claim to winning the ongoing trade war between the two due to a fall in Chinese stocks was “wishful thinking.” China’s two largest bourses, the Shanghai composite and the Shenzhen composite, have lost a quarter of their value since the start of the year. Brexit worries have put pressure on the British pound Tuesday, with sterling seen trading just below the flatline in early morning trade at $1.2940. U.K. Prime Minister Theresa May is set to meet with Scottish First Minister Nicola Sturgeon on Tuesday. The latter accused May of making a no-deal Brexit an increasingly likely possibility ahead of the talks. Meanwhile, a survey by the British Retail Consortium showed that England’s race to the World Cup semi-final and sky-high temperatures had boosted sales of food and drink. Total retail sales growth slowed however, up 1.6 percent last month year-on-year. Earnings season remains in focus on Tuesday. InterContinental Hotels Group, Standard Life Aberdeen, Commerzbank and Deutsche Post are all set to report results. On the data front, France and Germany are both due to release balance of trade and current account figures, with the latter also publishing industrial production data.